Little pampering at the beauty salon! Hope you are all fab today wherever you are! Todays post is about the experience I had at a local beauty salon recently getting an eye package done. I had heard good reviews about this girl and she had an amazing offer of an eyebrow tint and wax and and eyelash tint all for £10, it would have been rude not to take that offer up I think! The girl who owns The Beauty Room located within Eclipse Hair Design﻿ is Kerrie Coll. On first impressions I felt so relaxed she is a part time beauty therapy lecturer at our local college, so in all honesty I knew I was in good hands! Her room is located within the hair salon itself and is so pretty. Her beauty couch has sheets on it in the style of Cath Kidston and is so pretty! There was some fab music playing, acoustic covers which were lovely. She said not to worry she would sort me out! She said that she would go with the blue black colour tint as we didn't want it to be super harsh looking. She went on to cleanse my lashes and brow and then applied a guard to my eye and a barrier cream to the skin around my brows. We chatted away about our love of Pixiwoo youtube channel (if you don't know who they are you need to check them out on youtube!!) and our shared love of all things MAC. When she took off the tint, she went on to wax my eyebrows and pluck the wee stray ones out. Normally my eyes water very badly when getting my eyebrows waxed, but this was so quick and painless that they only watered very slightly. 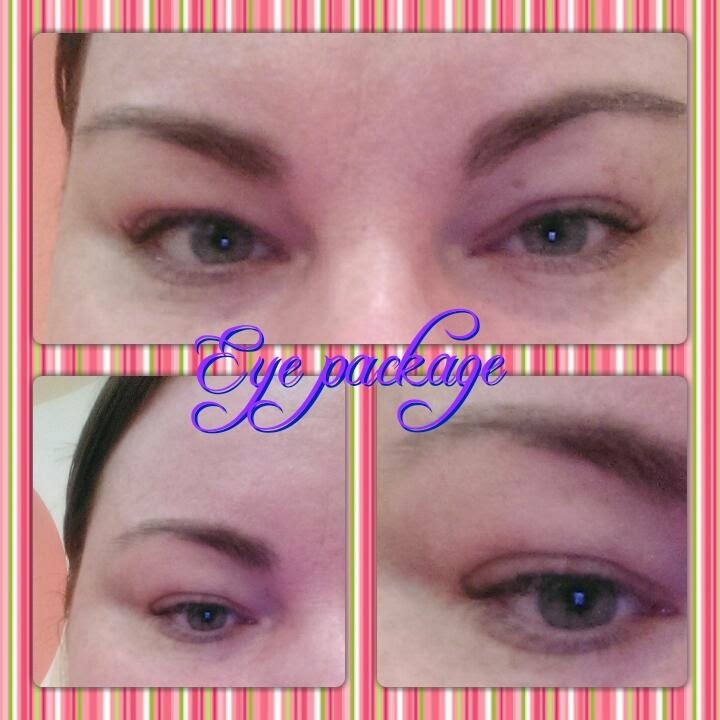 When I sat up to look at my eyebrows and lashes, the first thing I thought was wow, that has made such a difference! I wish now I had of taken pictures before hand to show you the difference. The tint had made my lashes look fab, definitely no need for falsies now! My eyebrows really were tamed and the wee hairs at the end looked a million times better. Normally I use a MAC brown shadow to fill in my eyebrows and just a clear gel to set them, but now I am thinking about trying a brow product like a wax or something similar. Any ideas would be fab, I have heard the Anastasia range is great, maybe worth a little look! So my little pampering day at The Beauty Room with Kerrie Coll was fantastic, and I couldn't recommend this girl enough! She definitely knows what she is doing in terms of shape and colour. Anyone wanting to contact Kerrie can do so on Kerries facebook or by calling 07713247832 I can assure you that you wont be disappointed. She has fab offers on at the moment, I think I will treat myself to a wee massage next!